Nicki Minaj, Love or loath her (I happen to love) you can’t ignore her (very much). The Harajuku Barbie will be releasing her second album Pink Friday: Roman Reloaded following the huge success of last year’s Pink Friday. 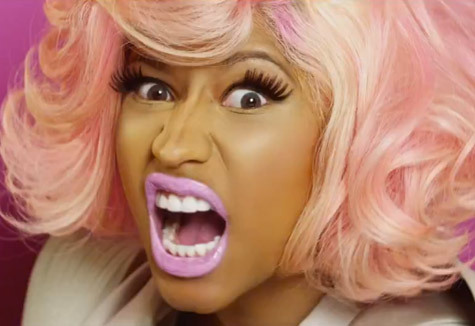 As you may (or may not) know, Roman Zolanski (of no relation/affiliation to Polanski) is one of Nicki’s alter egos. His unapologetic aggression and potty mouth on Roman’s Revenge (with Eminiem’s Slim Shady) are as hard not to love as the digs at Lil’ Kim are to ignore. In the meantime we have been treated to snippets here and there from the lady herself via twitter. And it Roman in Moscow and Stupid Hoe (there’s that aggression I was referring to) are anything to go by, Roman will be making every effort to bring the hype. The SH video recently became the fastest YouTube Video in history…. So it seems the hype is already here.